As new, in box – I have never worn these boots other than around the house a time or two – enough to know that they are too big for me. But they’re in like new condition, nicely made, and comfortable (I had a smaller size and wore them out). 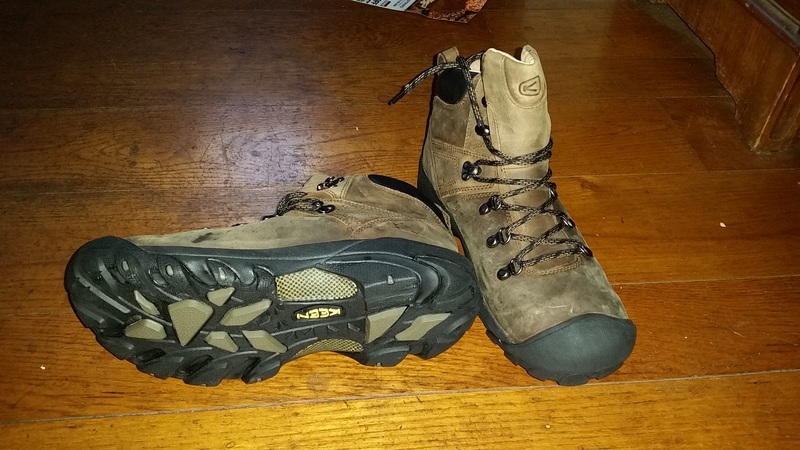 Not UL, but reasonably light for nubuck boots. $50 shipped CONUS.